Every time you run payroll, you need to send an FPS (Full Payment Submission) to HMRC that shows all employee payments and deductions. As a PAYE employer, you report real-time information (RTI) to HMRC, including all employee payments and deductions like taxes and National Insurance contributions (NICs). HMRC uses the FPS to calculate how much PAYE and NIC liability is due from your business each tax month. FPS is due to HMRC on or before the pay date, so we recommend you submit it immediately after you create your payroll. QuickBooks makes it super easy. Here’s how. After you create your payroll, you’ll be prompted to submit your FPS. Select Submit FPS to HMRC. Enter your Gateway ID and password. If prompted, select a late reason for this FPS. Pending We submitted the FPS and are waiting for a response from HMRC. This status appears for just a few moments--we’ll let you know if it is accepted or rejected on the confirmation page. Accepted We submitted the FPS, and HMRC accepted the filing. Rejected We submitted the FPS, but it was rejected by HMRC. A common reason is a problem with the Government Gateway credentials-- you may not have activated the credentials yet or entered the ID and password incorrectly. Go to Taxes > Payroll Tax at any time to see details about your current FPS and any other filings. That’s it! You’ve filed your FPS. Want to file even faster? Skip a couple of steps every payday. Simply save your Government Gateway credentials and set up QuickBooks to automatically submit your FPS as soon as you create payroll. See Turn on RTI reporting to HMRC in QuickBooks Online Payroll (UK). Note: Make sure you activate your credentials for the PAYE service on the Government Gateway. 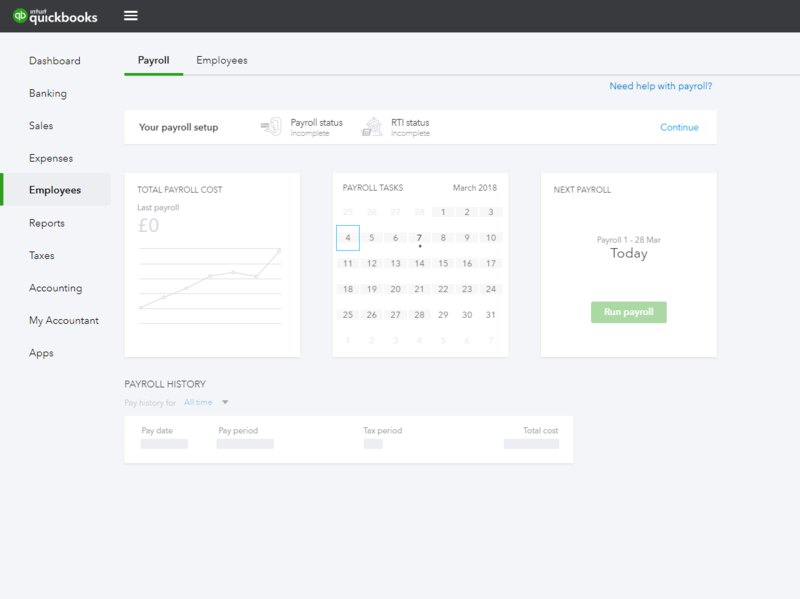 Next time you run payroll, your FPS will be automatically submitted to HMRC as soon as you create your payroll.